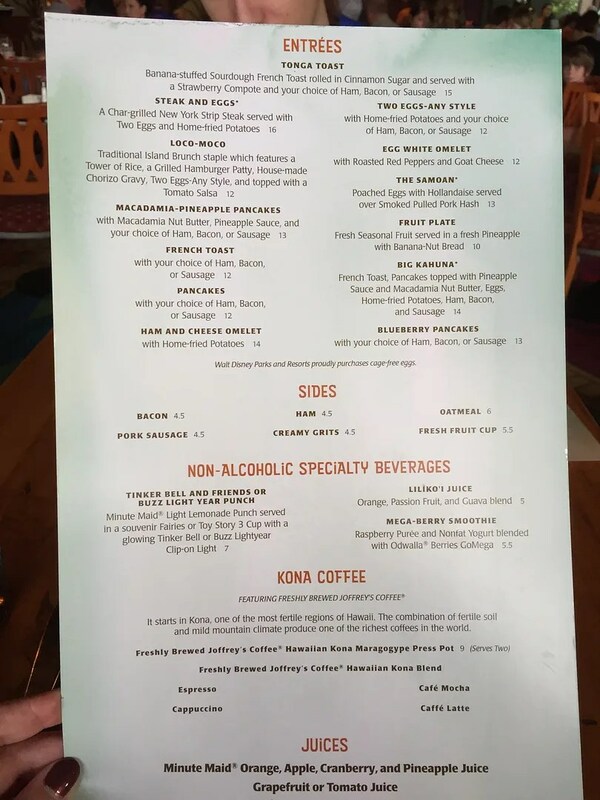 I missed having breakfast at Kona Cafe on my last trip, choosing instead to visit my other favorite WDW breakfast location, Grand Floridian Cafe. 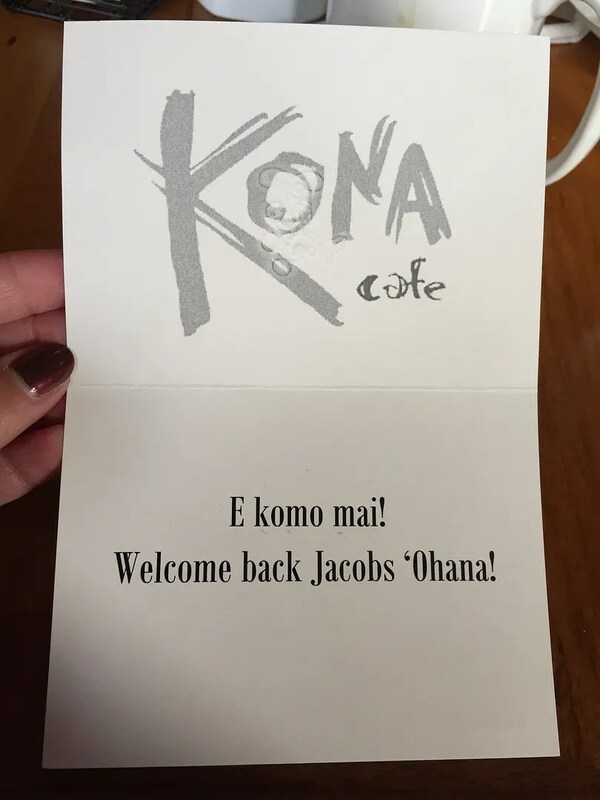 Therefore, I hadn’t been to Kona since October 2015. I noticed only a few changes in the menu since my October 2015 visit. The first was the addition of the Loco-Moco entree. And the other was the price increase! The prices of all of the entrees were raised by $.50 – $1.50. So in October 2015 the entrees ranged in price from $9.49 for the Fruit Plate to $15.49 for Steak and Eggs. In December 2016 the entrees ranged from $10.00 for the Fruit Plate to $16.00 for Steak and Eggs. As always, these were again delicious! But I really wish they would quit raising the price. In 2014 this entree was only $10.49 so the price has increased about 24% in just two years. OUCH!! 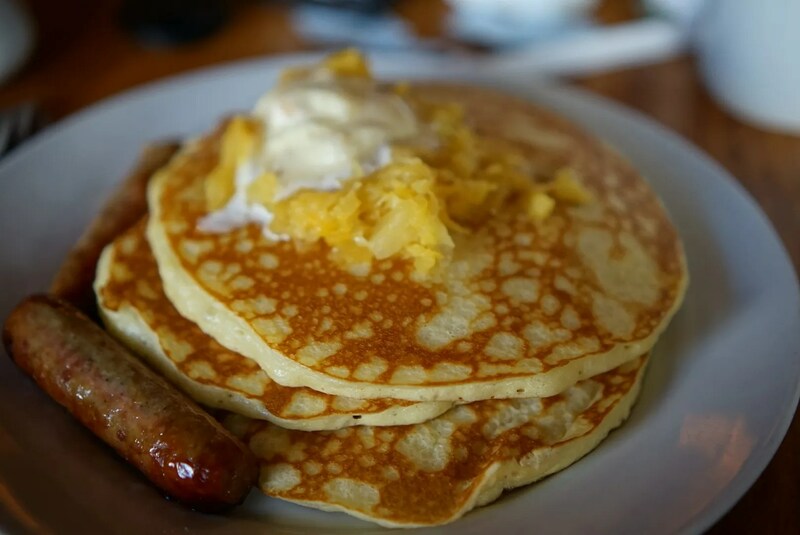 So I guess I need to decide just how much more I’m willing to pay for a plateful of pancakes…albeit wonderful pancakes loaded with delicious macadamia nuts. This normally is topped with a big pile of arugula, but knowing that he would just pick it all off I saved him the trouble and suggested that he order it sans arugula. 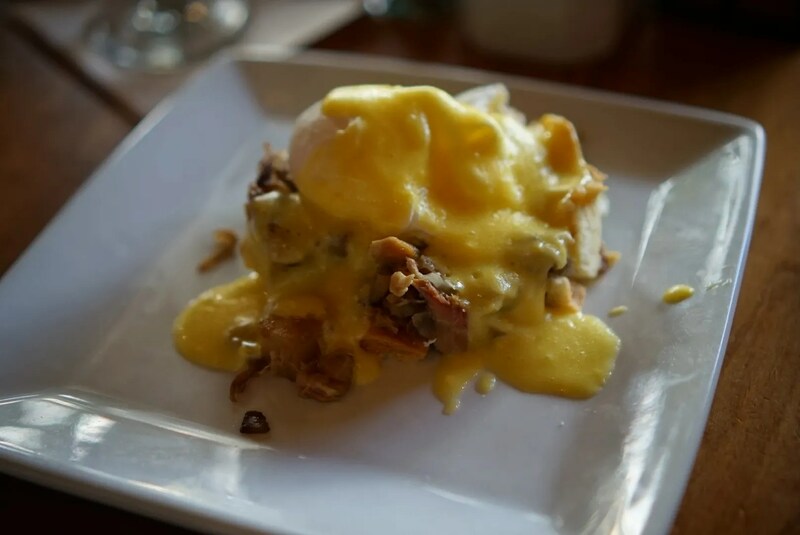 He is a fan of eggs benedict and enjoyed Kona’s version with the pork hash. FYI: The Samoan was priced at $9.99 when I visited Kona for breakfast in 2014, $10.99 in 2015, and now in 2016 it was $13.00. So over a 2 year period of time the price of this entree increased 30%, even more than my Macadamia-Pineapple Pancakes. Another very popular breakfast entree at Kona is their Tonga Toast. This entree was $12.99 in 2014, $13.99 in 2015, and now in 2016 was $15.00, so a two year increase of a little more than 15%. While the 15% increase for the Tonga Toast was almost half that of the Samoan 30% increase, paying $15.00 for this entree must be a bit hard to swallow for the Tonga Toast fans out there. However, there is the option of getting your Tonga Toast (minus the breakfast meat) for just $8.49 downstairs at the Polynesian’s quick service restaurant, Captain Cook’s. So I would rate our breakfast at Kona Cafe 4 1/2 stars (deducting 1/2 star for their rather high price increases) , which is a little better than the 4 stars given to Kona by both Yelp and Trip Advisor reviewers. 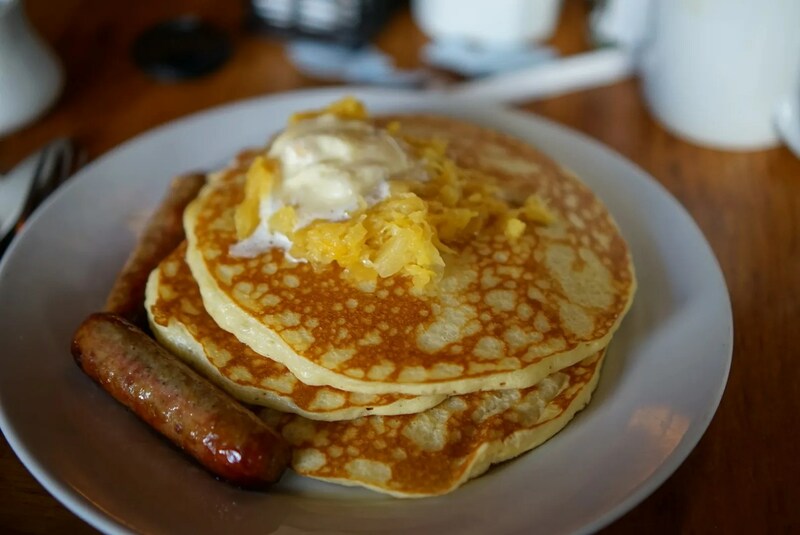 Additionally Kona Cafe is ranked #190 of the nearly 3,000 Orlando restaurants reviewed on Trip Advisor and #78 of the Walt Disney World area restaurants.